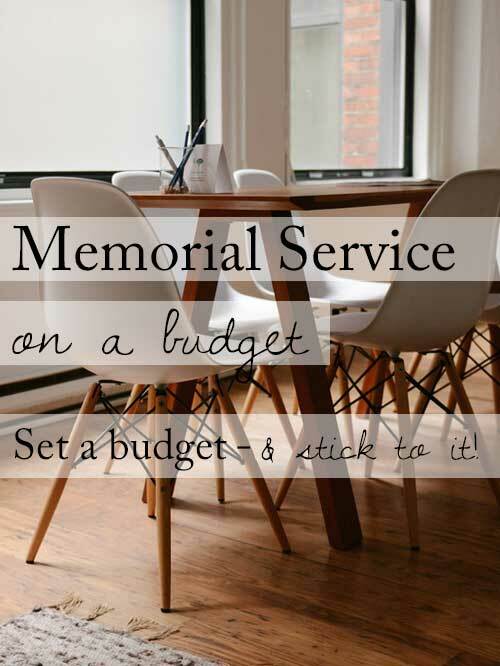 Planning a beautiful memorial service on a budget is a goal anyone can obtain. 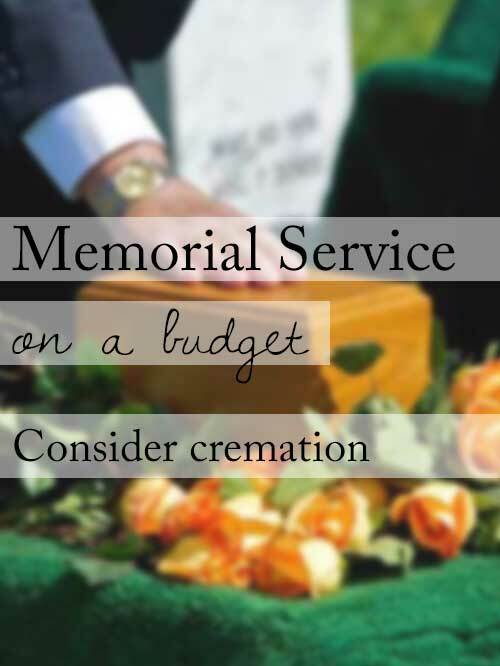 There are definitely many costs to a funeral for a loved one, but there are also many steps you can take to ensure that you get competitive prices, find affordable alternatives, and make informed choices that make sense with your funeral budget. 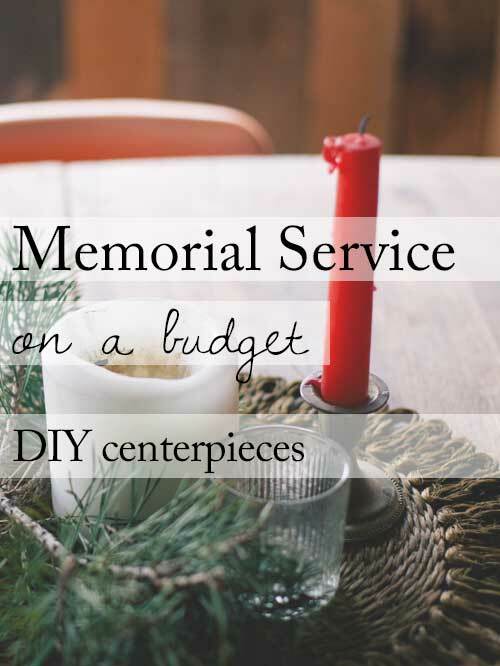 Here are our 15 affordable ideas to consider for a beautiful memorial service on a budget. 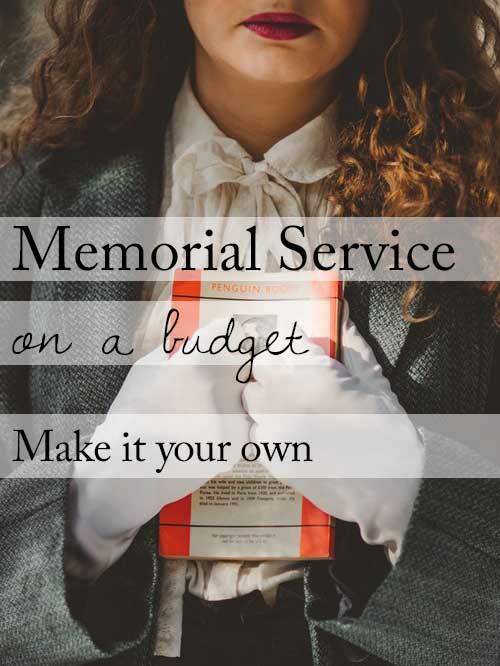 Creating a budget for your funeral costs is the number one way to stay on track with memorial service spending. Do a little bit of online pricing in your area, then set a budget and stick to it. 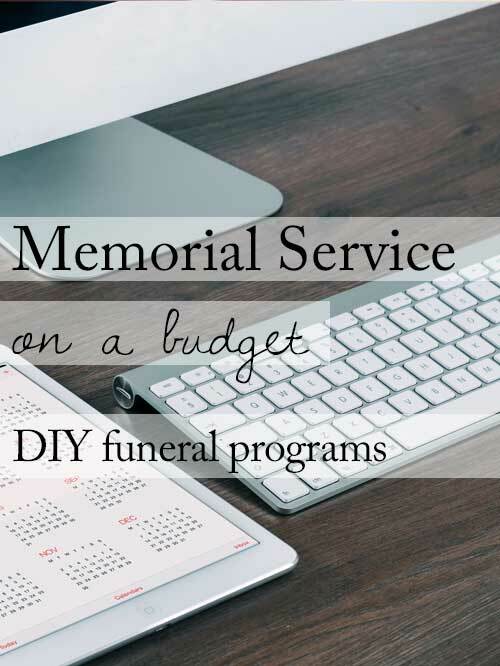 Don’t let the funeral home pressure you into purchasing add-on services; you can often honor the memory of your loved one better by not overspending. If you feel overwhelmed by this or simply don’t like the financial aspect, ask a friend to help you. Cremation vs. burial is an important subject, and if you or the deceased have religious or other personal convictions about the matter, stay true to your convictions. But cremation can be as much as 50% more affordable than traditional burial, so from a budget standpoint it is a worthwhile option to consider. If you think you may pursue this option, here are 14 questions to ask when considering cremation. 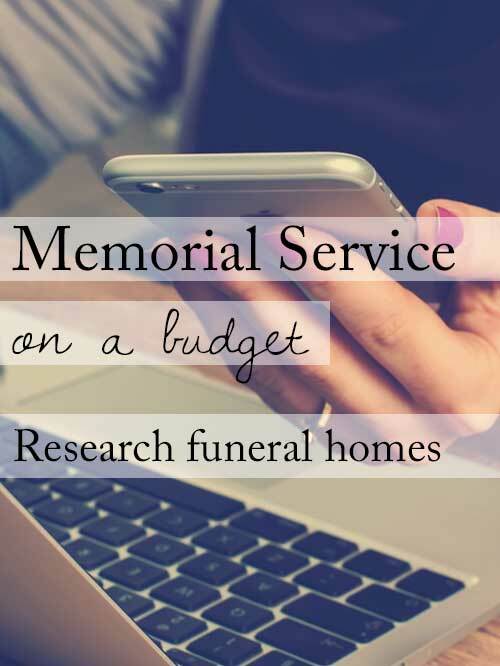 Costs vary considerably among funeral homes, so taking a few minutes to call around and price shop could save you thousands. 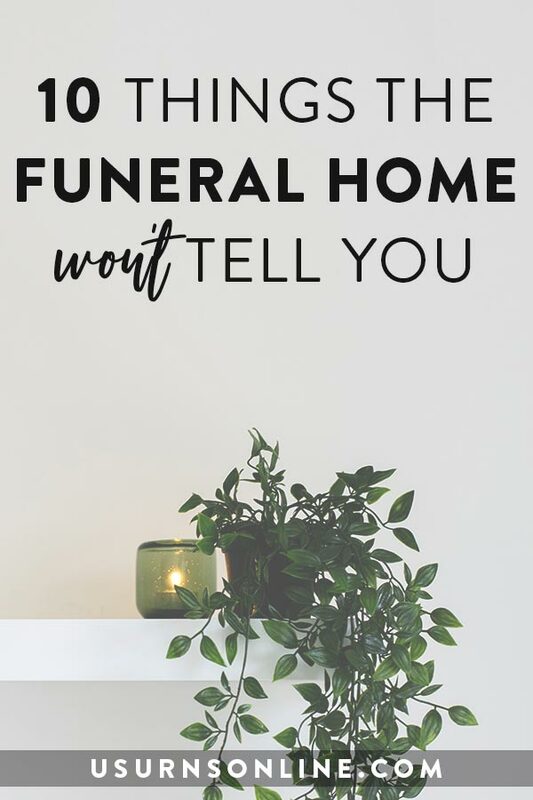 You can ask for a price list for all services, and the funeral home is required by consumer protection laws to give full and accurate information, even over the phone. Most funeral homes will have caskets or urns to rent for use during the memorial service. 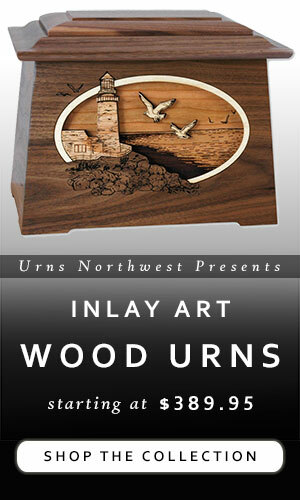 This is substaintially less expensive than purchasing, especially when opting for cremation. You can rent a gorgeous casket for the service, then have your loved one buried or cremated in a much more affordable casket. 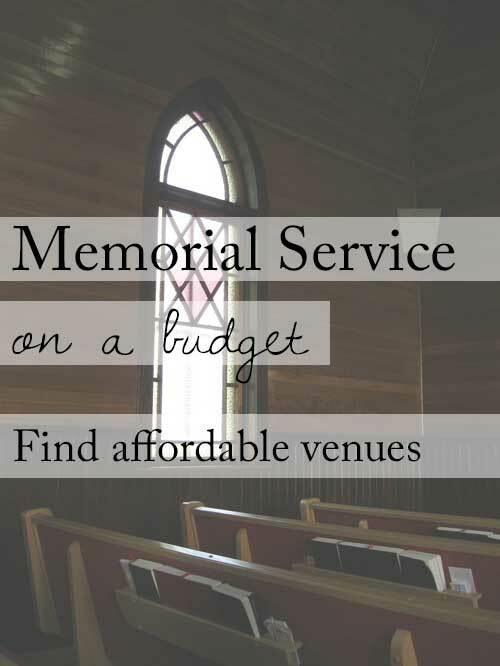 Comparing venues and considering alternative options for a service and/or reception will also help keep your memorial service on a budget. For instance, churches, chapels, and community centers will often have very affordable venue rental fees. If you are a member of a church or association, you can often use the venue for a very nominal fee or even free. 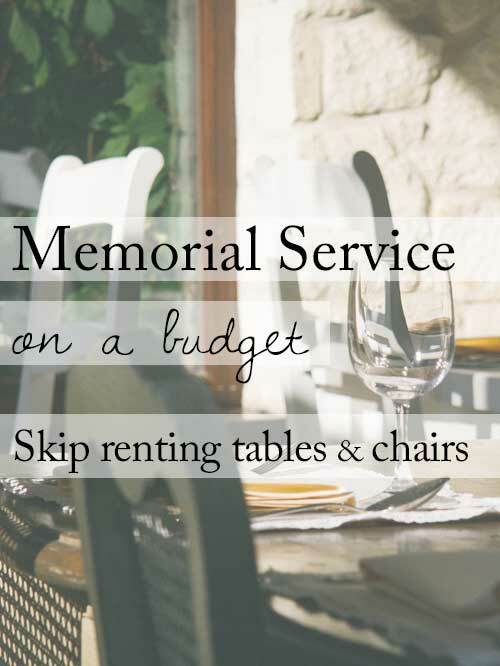 Reception seating is often overlooked until the rest of the plans are already set, but you could save quite a bit in your memorial service budget by choosing a reception venue which already has tables and chairs free of charge. However, sometimes you may find a low-cost or free venue that doesn’t have all the tables and chairs you need. In this situation it may be cost-effective to rent or borrow what you need in order to stay within budget on your overall venue costs. There are many alternatives to paying an expensive caterer’s bill. 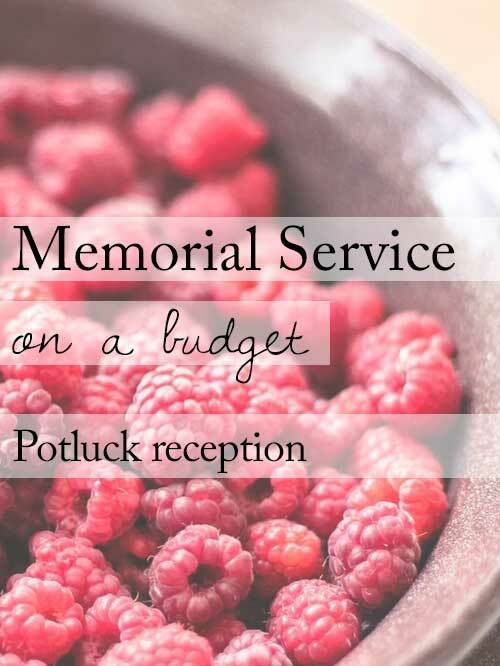 Make the reception a potluck, and it will often have a family-gathering feel while saving hundreds if not thousands on your memorial service budget. Family and friends will gladly contribute, primarily because they love you and your loved one, but also because the act of giving actually makes them feel better. Or, depending on the time and circumstances, you can make it a dessert potluck, or have simple snacks made by select family members. 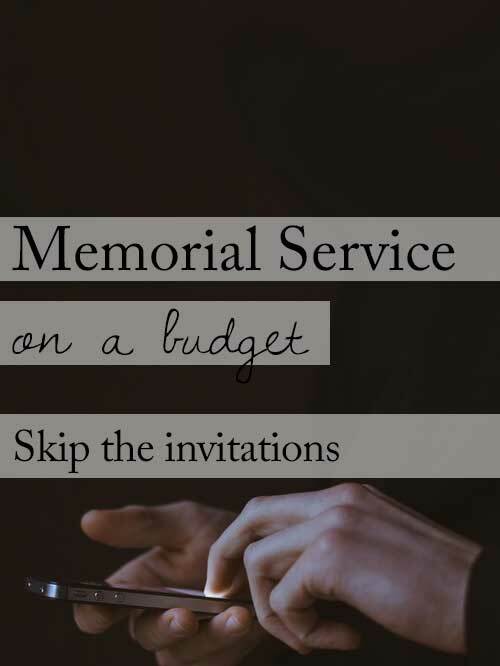 With almost everybody online and on social media, skip the cost (and time, and energy) of setting up, printing, and mailing memorial service invitations. It’s very easy to set up an “Event” on Facebook, or you could send an email using a very easy-to-use template from MailChimp. There are also many free memorial websites you can set up which include event planning and notification options. And of course, for anyone who is not online, you can give them an old-fashioned phone call. 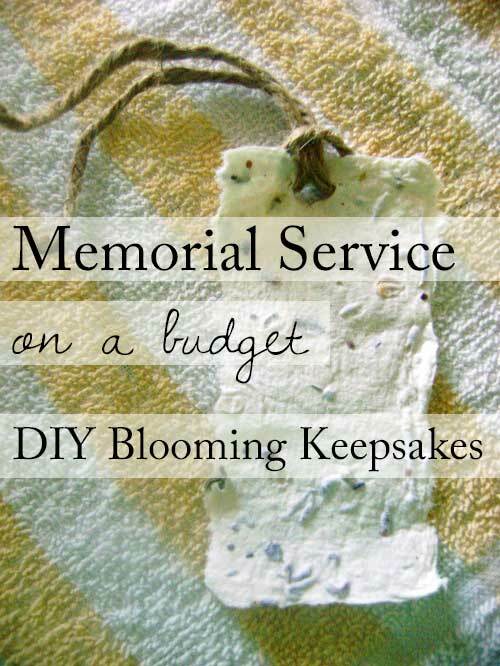 Additional ideas for memorial service keepsakes are nearly endless, many of which you can find some DIY tutorials to help you keep the costs down. Start with your loved one’s favorite hobbies, quotes, movies, or food and you’ll find the perfect keepsake in no time. If you’re not particularly design or computer savvy, you probably have a relative who is. Ask a friend or family member with design skills to lay out and print the program at home. The cost of your own printer ink and a box of nice paper will be much more afforable than paying a print shop. 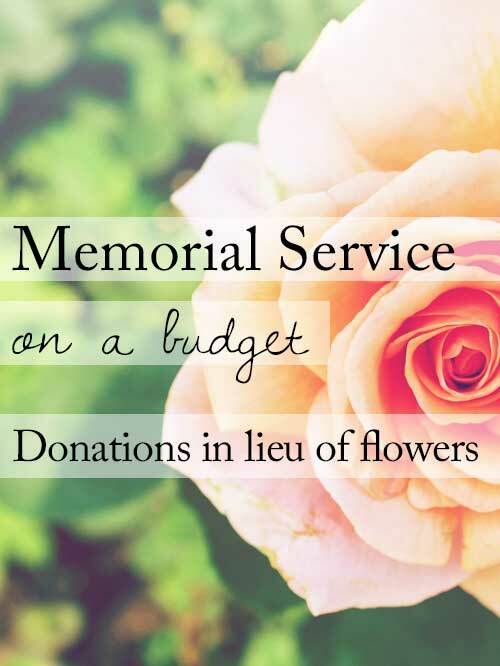 Family and friends will understand that paying funeral costs can be difficult, and will generally be happy to donate cash instead of purchasing flowers. This is often done, especially after an unexpected death. Simply state in the memorial service invitation that the family will accept contributions to help cover funeral expenses instead of flowers. Many fees, prices, and rates are negotiable. 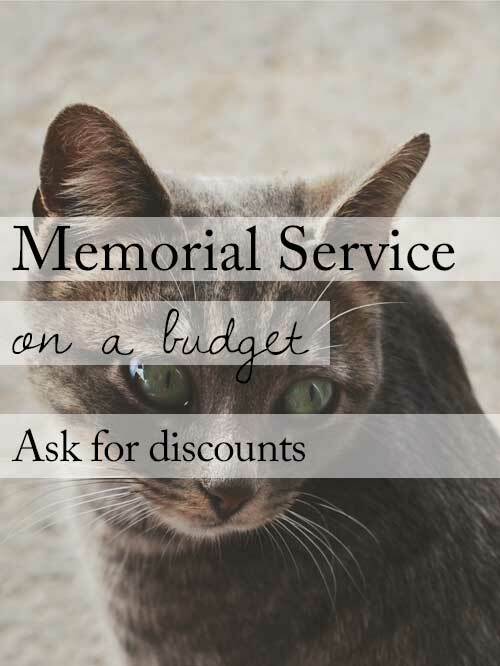 Funeral homes, venues, and other vendors will sometimes give discounts just for the asking, or they may have special programs for low income assistance, military veteran discounts, clearance items, optional services which you can decline, or free service options. Don’t be afraid to ask, and you won’t know until you do! You and your family knew and loved the deceased best. So feel free to incorporate your own simple, unique, crazy, fun, and personalized ideas into the service. This is what will make the memorial most beautiful in your memories, and will usually cost very little. 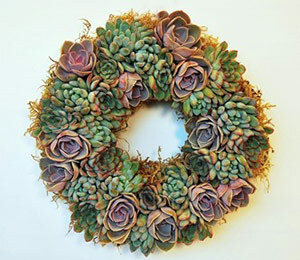 Celebtrate with a tailgate party, create a treasure hunt, display nerdy collectibles, make beads from the funeral flowers, having a Viking-style sendoff. Make it your own, do it yourself, and the memories will be treasured forever. 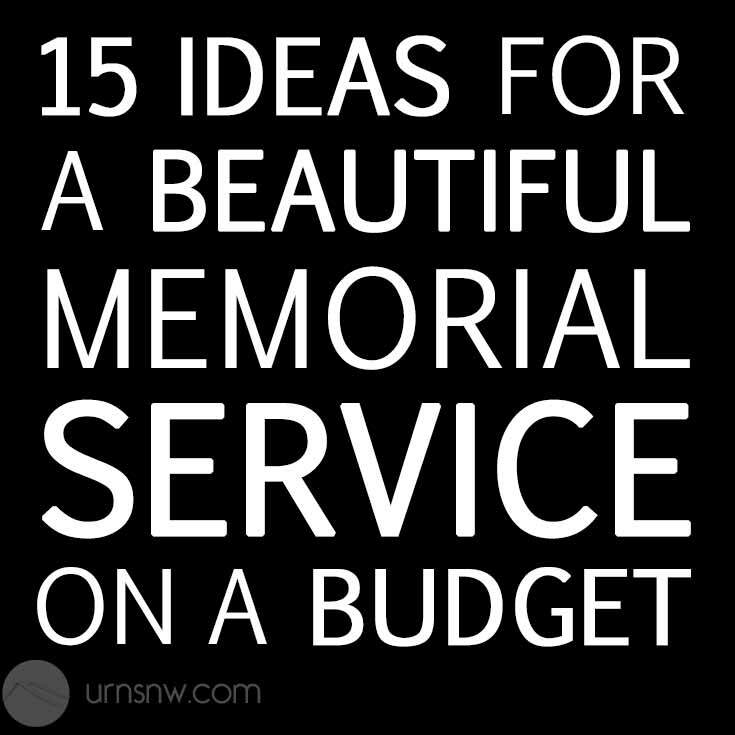 Need more budget-friendly funeral ideas? 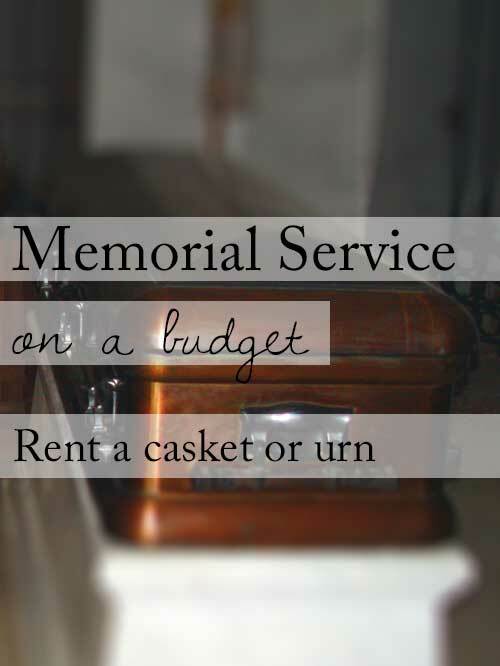 Check out our in-depth article, Frugal Funeral Planning: 50 Tips for a Funeral on a Budget. 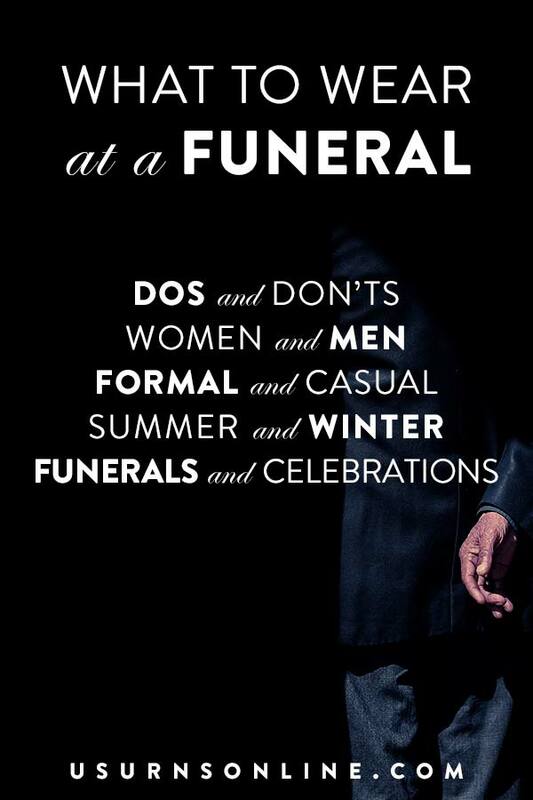 What is the difference between funeral director, mortician, and undertaker? 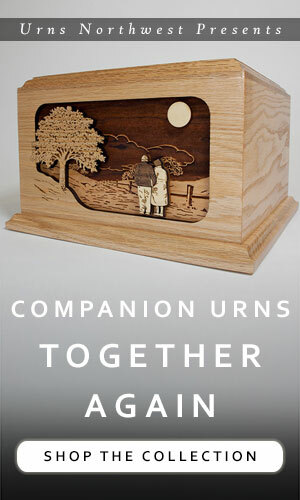 Previous post: Mailbag: Can You Make a Companion Urn to Fit Into a Niche? It was great how you suggested skipping the catering services and just ask for the family to engage in a potluck since friends and families will most likely want to cooperate as they also love my loved one. I will be sure that I take note of that once as I am currently preparing the funeral service for my dad. Since I want to save as much as I can as the incident was so sudden, I think skipping the catering will help out a lot. Thanks! I really like what you said about asking for discounts and how many funeral services will give you discounts just for asking. 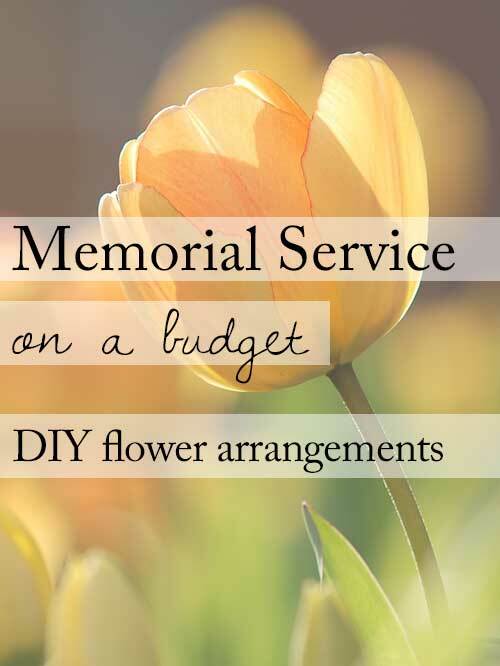 This is a really good idea and something that I will have to try because it’s been really stressful budgeting and planning for my grandfathers funeral. Hopefully, we can find a good funeral service with a good price that can help us with everything. It was really nice when you suggested making the reception a potluck as that will be a better option for catering because my friends and family will enjoy the act of giving. I guess I can suggest this to my family since I know that we have a very good circle of friends. Thank you. Your tips will surely help us make the funeral services of my dad a little easier for us.